There are two Halls, the main Hall and the upper Hall which can be hired together or separately with separate entrances. The main Hall can seat up to 140 for a sit down meal and can include the bar, kitchen and meeting room. The bar area has recently been completely refurbished to echo a more modern and sophisticated entertainment space. Double doors from the bar to the stunning views also adds an impressive entrance feature to welcome guests whilst serving drinks or canapés. 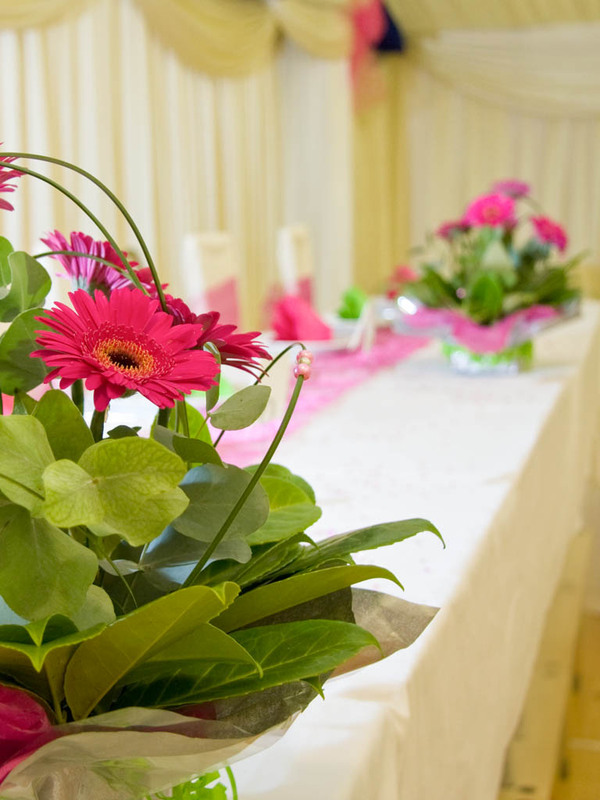 We work with a wide range of professional caterers or why not prepare your own? Tablecloths, crockery, cutlery and napkins are all available. The meeting room offers a flexible space for either serving buffets or for those who may wish to take a 'quiet' break from the celebrations. 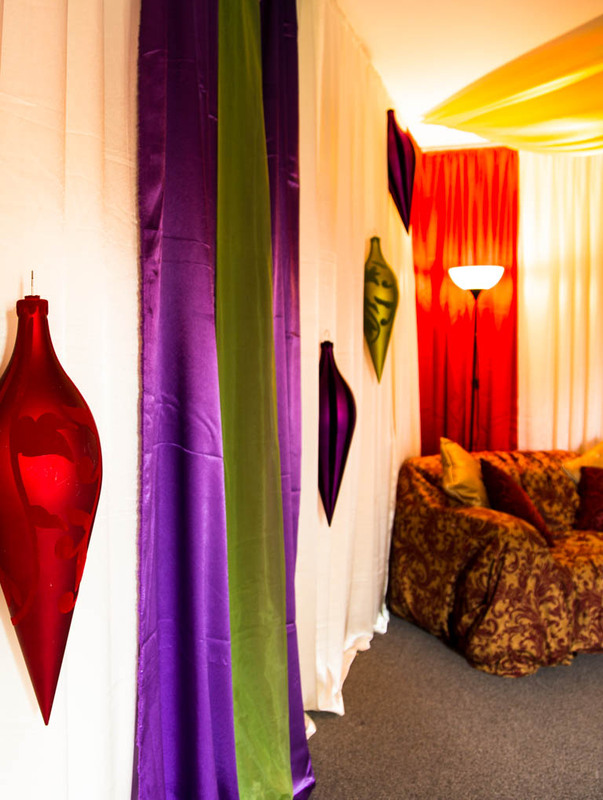 This area has been decorated in a variety of ways from a library to a casino! 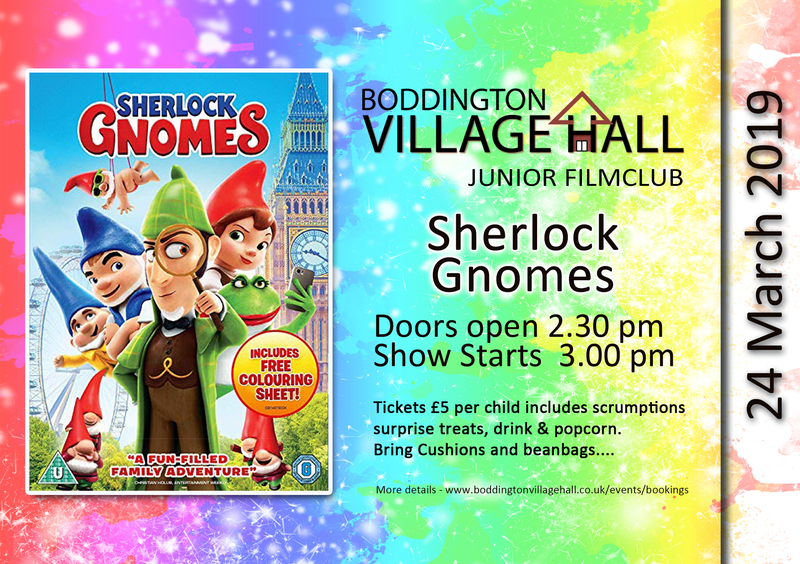 Boddington Village Hall exists primarily to provide a place for our Community to gather and celebrate. We put together a number of fundraising and charity events throughout the year including ceilidhs, discos and quizzes. 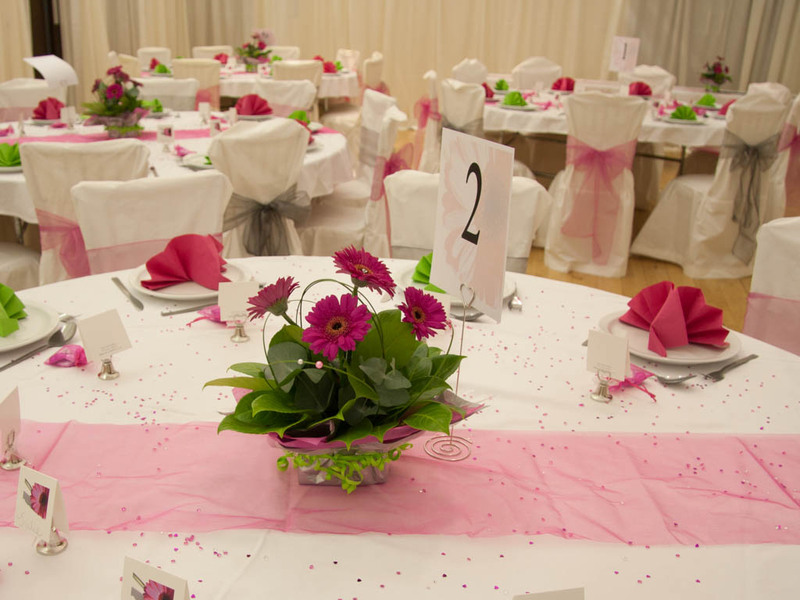 Every year we have a Dinner Dance to raise funds for the Hall and to showcase the exciting ideas for the venue. 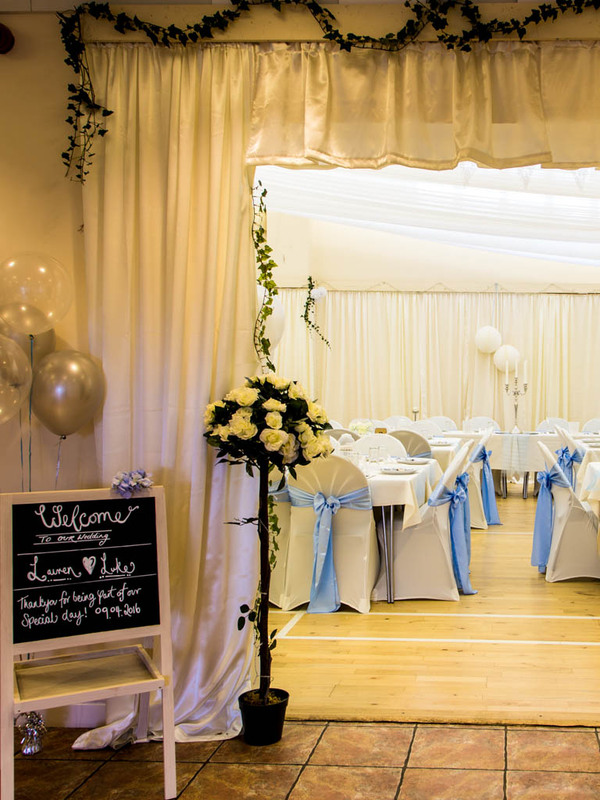 Facilities include two halls, a meeting room, a bar and kitchen. The lower Hall has full level disabled access and disabled toilets. 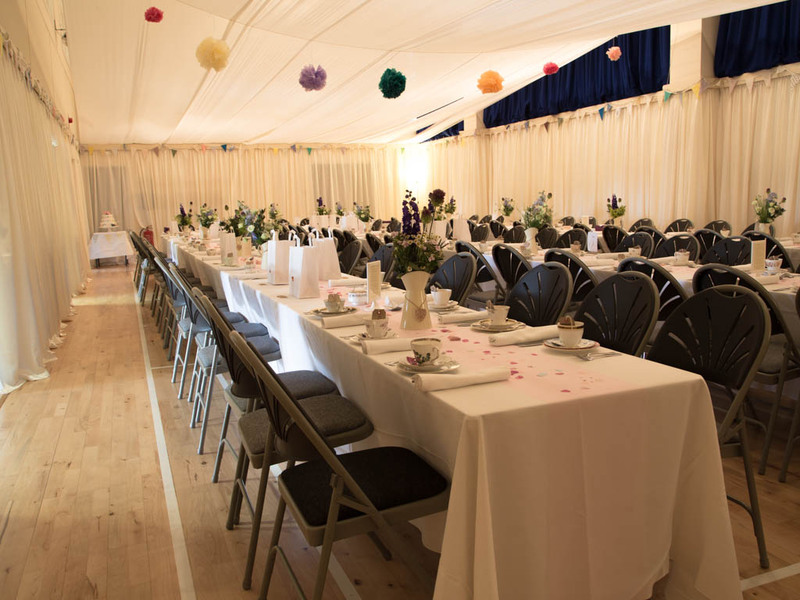 The Hall is also home to a number of local community groups including the Pre-School, the WI, the Parish Council, Love Ballet and Zumba, Yoga, Line Dancing, Badminton Club and the Gardening Club. 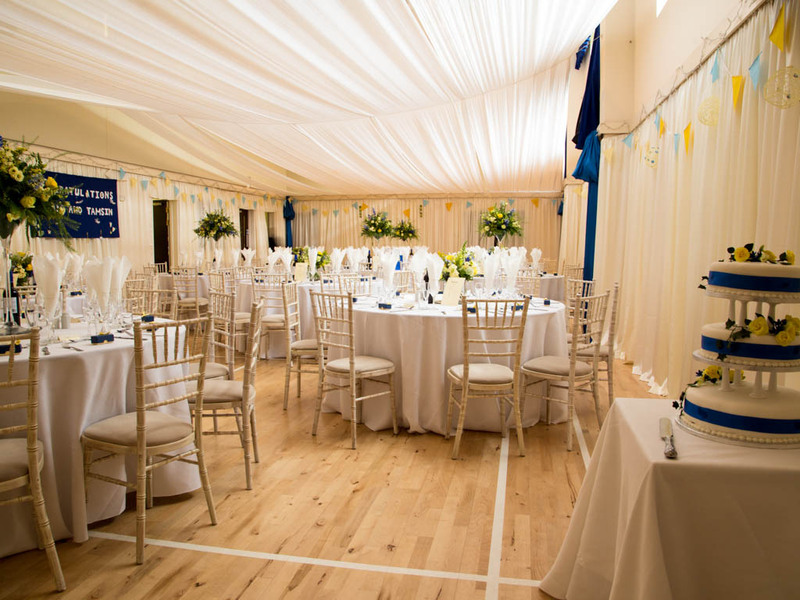 We also offer a unique and personal events service where the Hall can be transformed into an exciting and unusual venue for weddings, parties or other events. 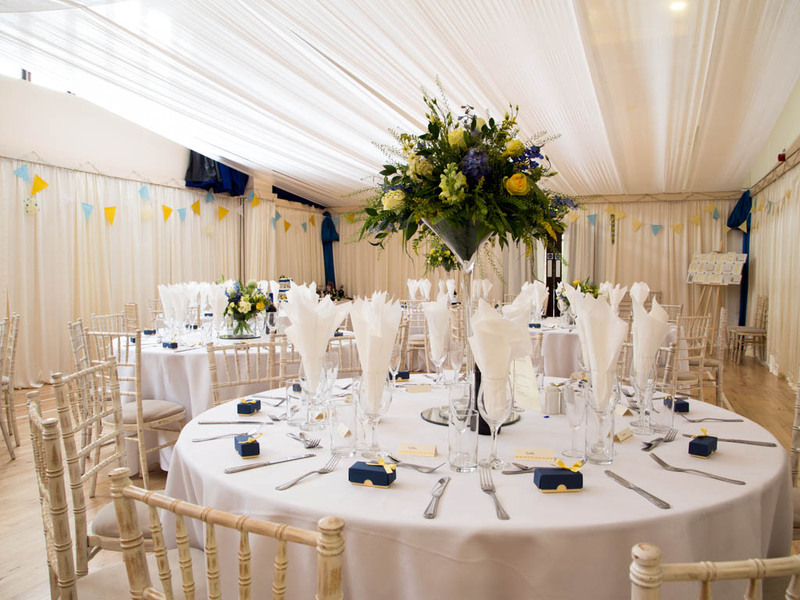 We have a wide range of accessories including a stage and equipment and crockery etc. 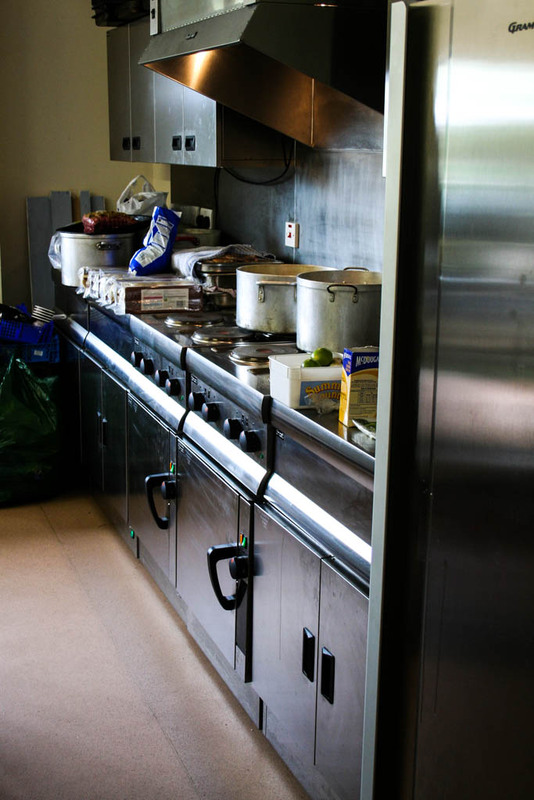 The Hall is run by volunteers and is a registered charity. If you would like to be involved, either as a Committee Member or just occasionally then we would be pleased to hear from you. 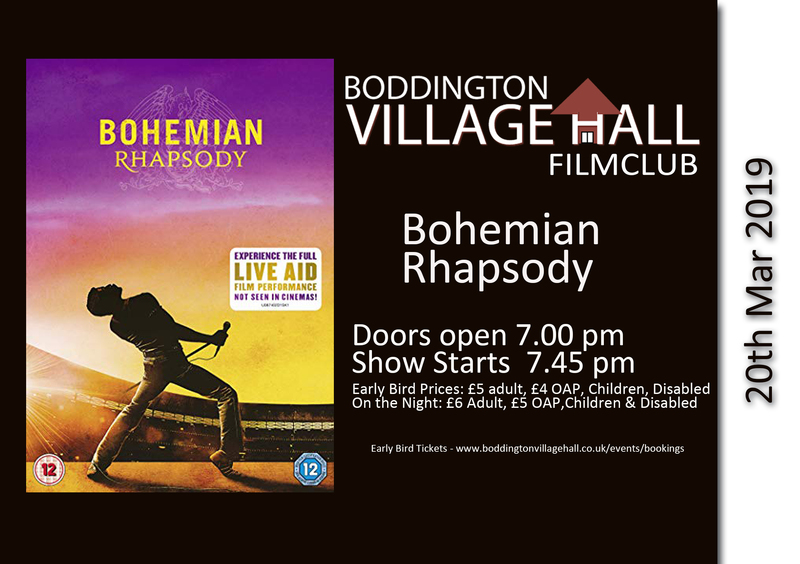 To arrange a viewing or for further information then you can contact us by phone - 01327 720025, e:mail bookings@boddingtonvillagehall.co.uk, or use the form on the contact us page. 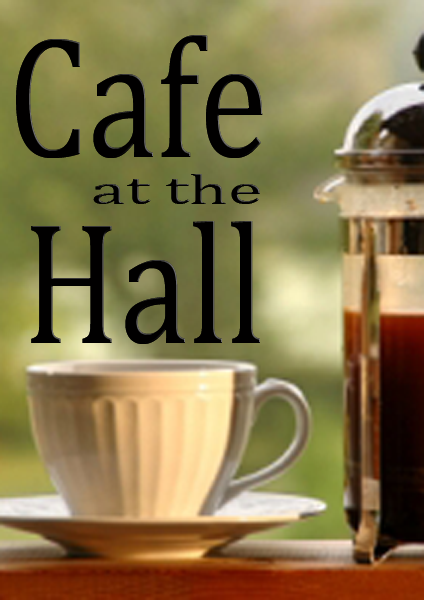 The Cafe is open in the Hall on a Friday between 10am and 12am at the same time as the Post Office. Drop in for a chat or some homemade cake. Coffee is served in individual cafetieres and in fine bone china. Everyone is welcome, coffee, tea and cake are all £1 each. The outreach Post Office is open on a Tuesday afternoon from 2-4pm and a Friday morning from 10-12am. 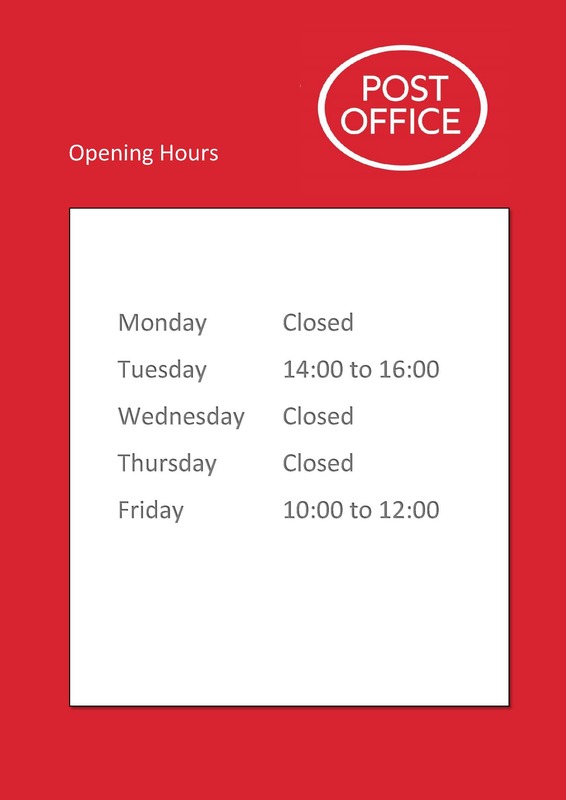 The Post Office has a full range of services.